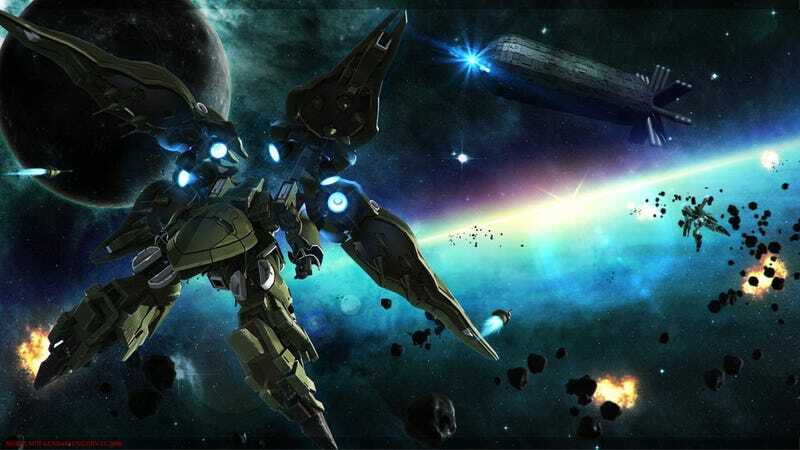 Kickass Gundam space battle! That is all! This is just one piece from a treasure trove of amazing Gundam art compiled by Marcos333 on Abduzeedo. This illustration is by Henry1025 — you can see the rest of his work on his Deviant Art page.